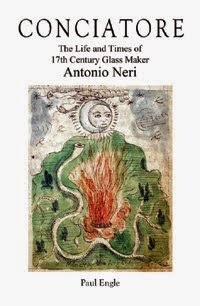 Five years into his stay in Antwerp, on 21 February 1608, glassmaker Antonio Neri posted a letter to a friend in Florence. The letter was addressed to the house of Zanobi Bartolini—likely the son of Neri’s late former landlord Alamano, also the nephew of Emmanuel Ximenes, Neri’s host in Antwerp. The letter provides strong evidence that however much time Neri devoted to making glass, he also devoted considerable attention to his interest in medicine. In this letter, the priest describes his success with medicinal cures. He also references experiments he carried out in Brussels and at the Hospital of Malines, in Mechelen. In particular, he praised Paracelsus’ recipe for ‘theriac of mummy,’ and its superiority to Galen’s ‘theriac magna’. Theriac was an ancient medicinal remedy, often taking the form of a thick honey based syrup. It often contained numerous herbal ingredients. It was thought to be a cure for any poison and used as a way to stave off the plague. Mummy or mumia was a compound composed of just what one might think: the ground up flesh of ancient Egyptian bodies. 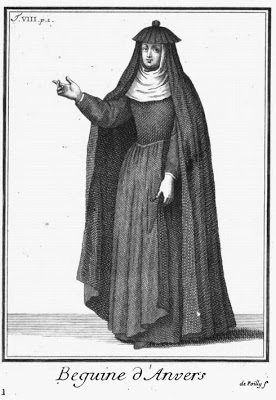 The Order of the Béguines is truly not a religious order, but a pious society, and compared with the former complete consecration is as a preparatory school in which the piously inclined women of Belgium live after a pattern highly characteristic of the temper and mind and the character of the people. For this people is jealous of its liberty and will be led rather than driven. Although it is beyond a doubt more meritorious to devote one’s self to the service of heaven by vows of perpetual chastity, obedience, and poverty, and though there are many pious women in Belgium who are so disposed, yet most of them shrink from this irrevocable vow. They prefer to remain inviolably chaste rather than to promise to be so; they are willing to obey, but without formally binding themselves to obedience; to rather use their poverty in reasonable outlays for the poor than to give it at once up for good to all; rather voluntarily renounce daily the world than immure themselves once and forever. As the son of a grand duke’s personal physician and grandson of a surgeon, there can be little doubt that Neri had ample familiarity with medical procedure. It seems likely, given the circumstances, that in Mechelen he was lending his expertise to ease the ravages of war, helping to heal wounded soldiers. Lavinia L. Dock, Mary Adelaide Nutting, A History of Nursing (Putnam, 1907) v. 1, p. 268. * This post first appeared here on 26 Mar 2014.